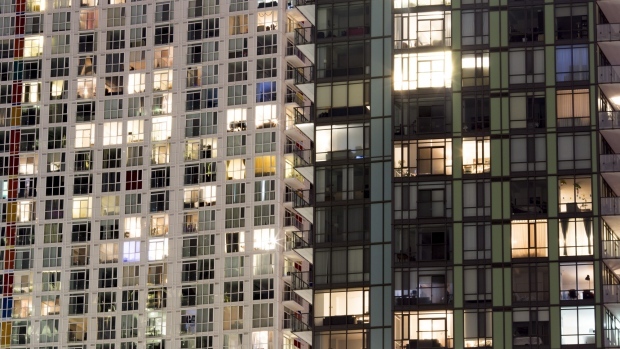 The Toronto-based firm, which managed $22 billion of assets in Canada as of September, plans to increase multi-residential investments to about 15 per cent of its portfolio from below 10 per cent, according to Doug Poutasse, head of strategy and research at Bentall. Canada is going through its biggest surge in international immigration on record with almost 100,000, or about a quarter, of those landing in Toronto in the year through July. That helped send rents for purpose-built units up 17 per cent in the third quarter over the same period the prior year, according to research firm Urbanation Inc. Companies including GWL Realty Advisors Inc. and Tricon Capital Group Inc have also been expanding in the sector. Part of the increase has been due to rising construction costs amid labor shortages, zoning delays, spiraling material costs and rising interest rates. Land prices have also soared amid a boom in luxury condo developments. Rising costs and regulatory delays have also led to several cancellations in the condo market as builders scrapped developments citing problems with construction financing despite sold-out projects. One such opportunity was Novus, Bentall’s mixed-use rental apartment development in Toronto’s west end with 579 units due for completion in 2020, Poutasse said. The land was purchased from a condo developer as part of a five-tower development. “We really like those because somebody then has already done a lot of the work to get something approved,” he said. Bentall is focused on building both market-rate rental apartments like Novus, which has an average unit size of 650 square-feet, as well as a luxury 248-unit building in ritzy Yorkville where the priciest penthouse units are in excess of $10,000 a month. Across North America, Bentall has more than $48 billion in assets under management as of September. Sun Life said in December it would merge Bentall Kennedy with New York-based GreenOak Real Estate LP and take a 56 per cent stake in the combined company for $195 million. The deal is expected to close in the first half of the year and Sun Life will have the option to acquire the remaining interest in Bentall GreenOak seven years from the close. The company is also targeting the industrial sector and developing logistics properties in the Toronto region, which is currently about 25 per cent of its biggest Canadian open-end fund, Poutasse said. Property values for industrial sites continue to rise amid strong demand from companies like Amazon.com Inc.